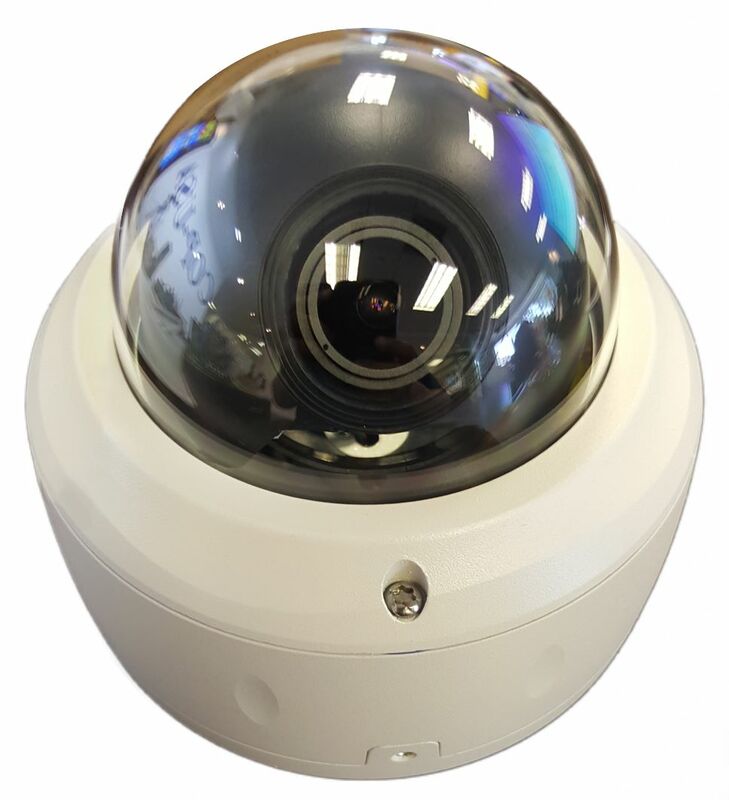 The CD259STA-4OS-D vandal proof dome camera is ideal for indoor or outdoor surveillance when you want to maintain color images even in very low light. This camera employs the 1/2.8" SONY IMX2441+291 2.1MP sensor with Star Light technology and allows for color images even in very low light areas. There are no infrared LEDs to draw attention to the camera and the images stay in color to help with identification, however the camera cannot see in extremely low light or no light situations. The manually adjustable 2.8~10 mm lens makes it easy to find just the right filed of view. The dual power DC12V/AC24V makes it suitable for commercial or residential installs. The IP66 vandal proof housing keeps the camera safe and allows for operation in all weather conditions.